I research how people engage with information; think about how data & information policies & practices affect society; teach undergraduates, graduate students, & business leaders; publish in academic & general interest media; & consult with organizations on information ethics, management, & strategy. Book me for a speaking engagement! 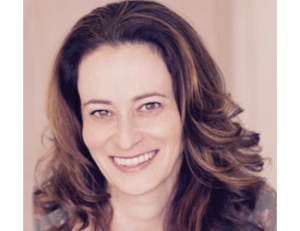 Diana L. Ascher is the director of the Information Studies Lab at UCLA, founder of the Information Ethics & Equity Institute, and a co-founding partner at Stratelligence LLC. She studies how people seek, prioritize, and trust information, often using data visualization to reveal how power and information flow through social networks. She brings more than two decades of experience as an analyst, editor, media director, & information strategist to her work at the intersection of information studies and the fields of behavioral science, finance, higher education, journalism, law, leadership, management, medicine, and public policy. Dr. Ascher earned a Ph.D. in the Department of Information Studies at the University of California, Los Angeles; an M.B.A. at the Peter F. Drucker Graduate School of Management at Claremont Graduate University; and a B.A. in Public Policy from Duke University as a recipient of the Benjamin N. Duke Leadership Scholarship. An early tech enthusiast, Dr. Ascher began blogging in 1994. Her more recent thoughts and musings reside here. Dr. Ascher teaches Information & Power & Information & Society at UCLA, Network Analysis & Information Economy at IEEI, and custom courses on similar themes at client organizations. Her students have asked for a forum to continue our discussions, which you can join on LinkedIn: Stratelligence Forum.